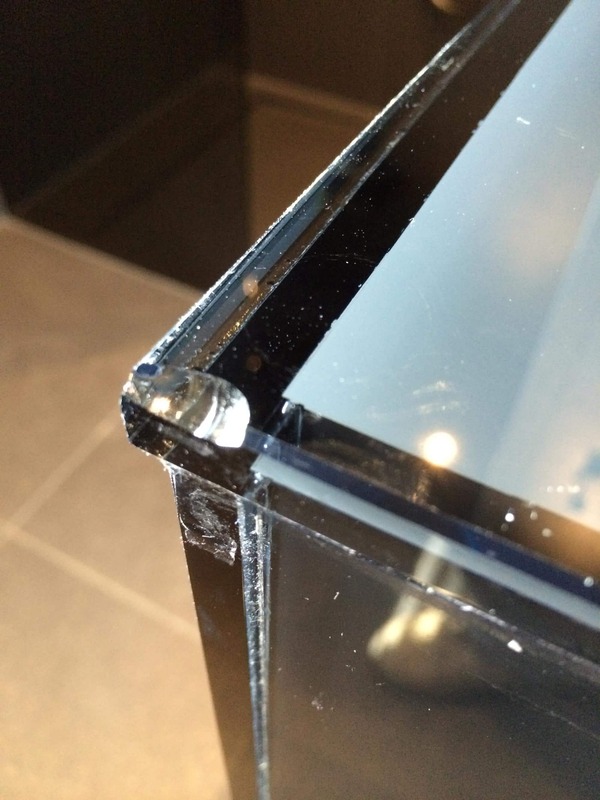 Broken edge in a bonded glass vanity unit in a hotel in Gatwick Airport. The chipped glass edge had to be smoothed and safe to touch. The due of the vanity unit was chipped and left sharp and dangerous to anyone using the room. 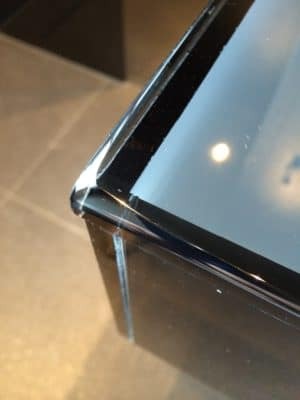 After a polishing repair the edge looks like it was meant to have the new edge given to it. It is now safe to touch and doesn't look broken.